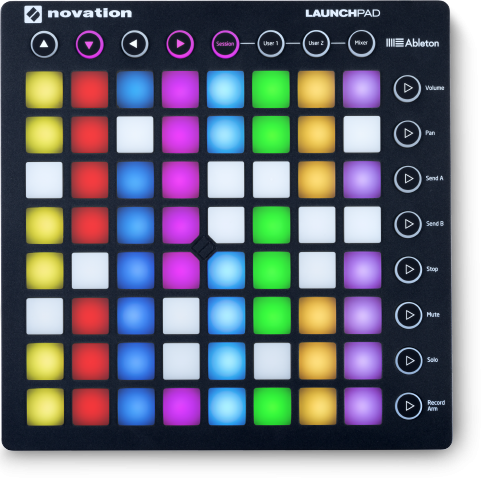 This is to discuss the Novation Launchpad controller. I just got a Launchpad MK2 and have not been able to get any response from Wirecast with the controller, is there something I'm missing to get this to work? I have the latest version of Wirecast Pro (8.2), the latest firmware for the Launchpad, and I have it set to Launchpad MK2 under File>Preferences>Controllers on Wirecast. Are the device's lights going on when you select the controller inside of your preferences? Amador Custer No response whatsoever when I select the controller in Wirecast. Launchpad MK2 seemed to work well when tested on both my Macbook High Sierra and Windows 10 Desktop as advertised by Wirecast. Recently upgraded to a Launchpad Pro but not seeing support in Wirecast 8 yet for it. I just got my LaunchPad MK2, no issues using a USB3 hub so far. No driver installation needed, just plugged it in, Windows 10 found and installed the drivers, and Wirecast recognized it immediately. I love the left column is for clear shot - so nice to have that.